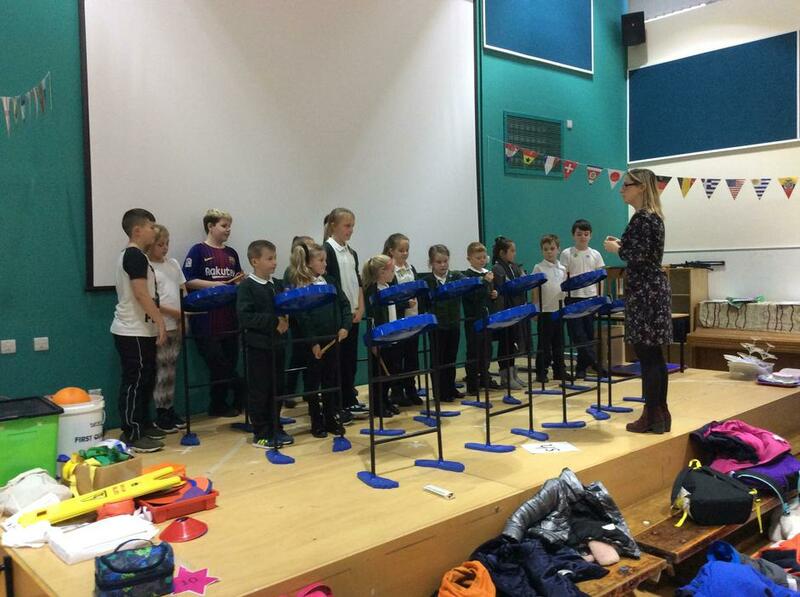 A huge 'WELL DONE' to all the steel drummers for a fantastic performance at the school Carol service. Special mention to Ashleigh and Leyla for their leading contribution! The children are working hard learning new Christmas carols and songs, and are looking forward to performing at the Upper School Carol Service. Steel drum club will be resuming on Tuesday 18th September from 3.15 - 4pm. This club will be offered to children in years 3,4,5 and 6 and is free to join. A letter with further information about the club will be sent out in the next few days. Please note even if you are a current member of the club you will still need to fill out a new permission slip for this academic year. If you have any questions please don't hesitate to contact me, Mrs Ward. The Prince Bishops Choir will be participating in the 'Primary Choir Festival' on Wednesday 28th March. We will be performing Zara Larson's 'Symphony' with the other schools who are taking part, and will also perform two of our own songs! More details to follow, and the choir will be receiving a letter next week, asking for parental permission to go. The below music is either being sung by a particular class, or open for all to sing during the Upper School Christmas Concert this year. Please click on the links below if you would like to practise! This Christmas carol will be sung by our choir. 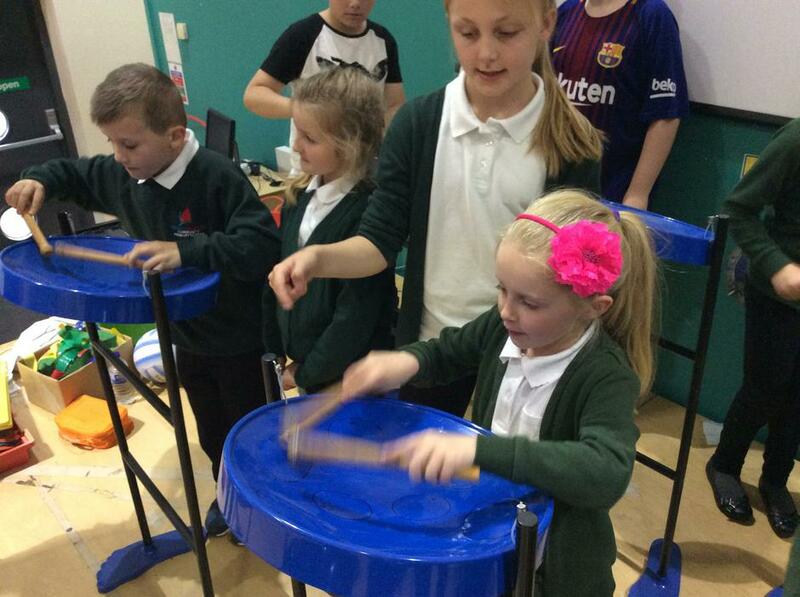 We applied to Children in Need for some funding, so that the school could buy some steel drums and enhance the lives of our children and also the local community. After quite a long delay the main drums have arrived, and we are told the big tenor drums will arrive before Christmas!! Mrs Ward, Mrs Burrip, Miss Errington and Mrs Dames are very excited to get the club started, and the children made a great start on Monday.... they can already strike and roll a note!! 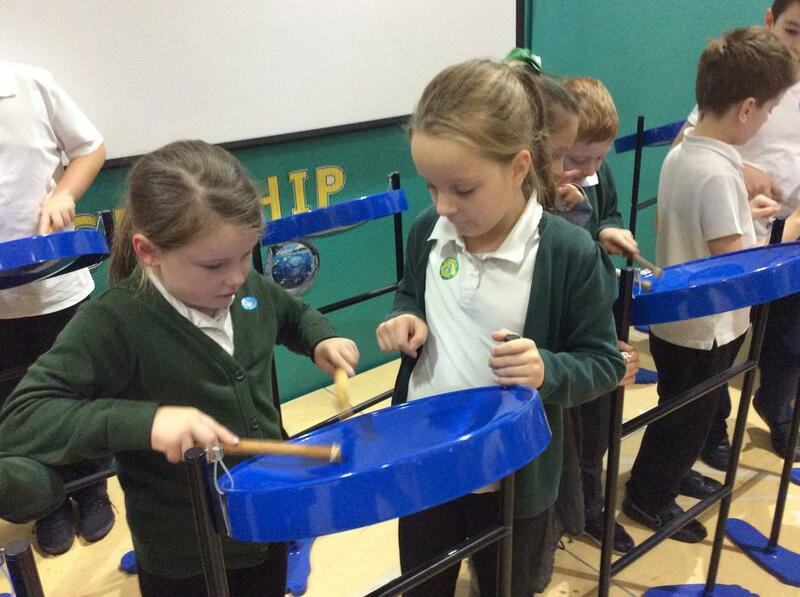 Our steel band in action! A huge THANK YOU to all the children who participated in the Music Concert this week. This young lady has been a ‘Musical God Send’ this year. Not only has she sung in the choir and played in the hand bells group, she has helped set up rehearsals, regularly put away the hand bells, found music stands and even took a hand bells rehearsal when Mrs Ward double booked herself with the choir! Her commitment and dedication has been clear to see from the outset. She has always turned up to rehearsals and if she knew she was going to have to miss a rehearsal due to other school commitments, she has always had the courtesy to tell Mrs Ward. But most importantly she has really made Music at Prince Bishops FUN, with her infectious giggle and sense of humour, even daring to have the odd joke at Mrs Ward’s expense!! She will be truly missed but as the song says, ‘I’m only one call away’ and when the Steel drums are up and running we will be needing some ex-pupils to come back… so pick up the phone Holly!! Prince Bishops have entered the ‘Song for Europe’ competition at the Gala theatre. This is specifically for a team of up to 12 Year 4 pupils who must sing in a European language, but unfortunately not English!! The year 4 pupils are presently working really hard to master Spanish in order to do their own rendition of ‘Let it be’ (‘Decelo Ser’) by the Beatles. A huge Thank You to Natalia who has helped us all tremendously with the Spanish pronunciation!! The competition in on Tuesday 23rd May. Good luck Year 4!! The children did their first performance at the Christmas concert, playing Jingle bells in harmony. They are now looking forward to helping us celebrate Prince Bishop’s 'Ten Year Anniversary' at the end of May, followed by an end of year concert on the Monday 17 July. The choir performed at the Bishop Barrington primary festival this year. They performed two songs on their own, and then joined with the other choirs for a final song. This might have been their first public engagement, however they did themselves proud and represented the school beautifully. 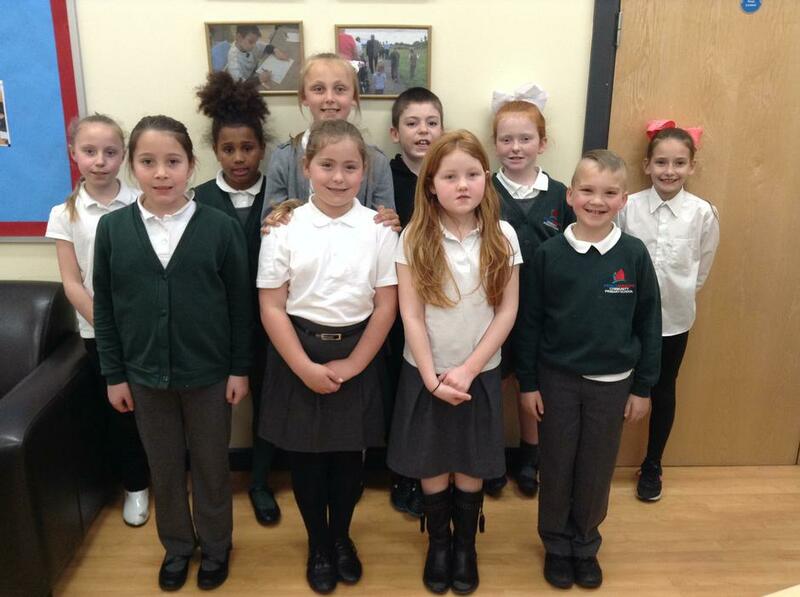 Well done and ‘Thank You’ to all the children to were able to participate.